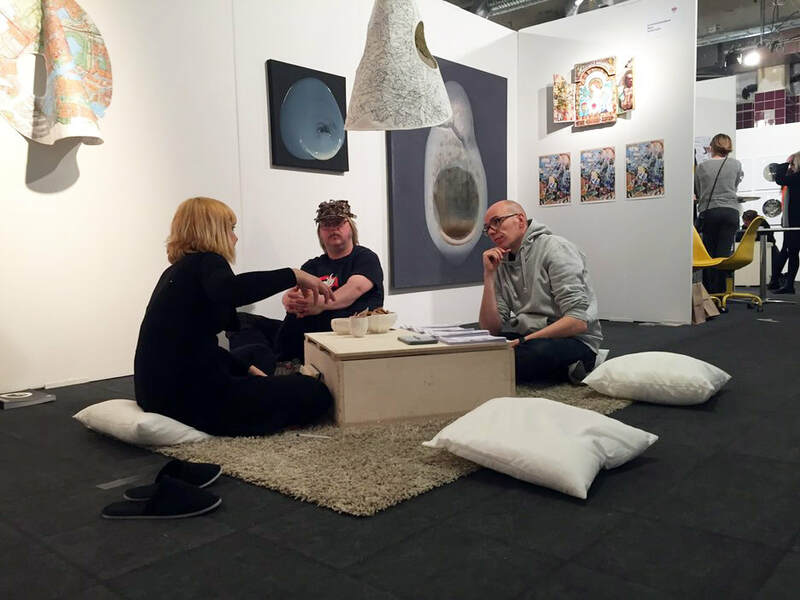 HOMELY ENVIRONMENT (group show) – Jasmin Glaab together with visitors in the booth of kunsthallekleinbasel at Supermarket Art Fair 2016. Photography: Karolina Modig. Stockholm (SE), 2016.